The most basic linguistic screen is a check to make sure your new name doesn’t mean something negative in another language. The name is presented to native speakers of target languages, and they comment on pronunciation, negative meaning, and existing cultural and brand associations. It’s a great way to protect yourself from accidental blunders, the “Chevy Nova” urban legend notwithstanding. If your name needs to work internationally, you need a linguistic check! Once you have your new name, you need to consider how that name will appear around the world. What about countries with other writing systems? 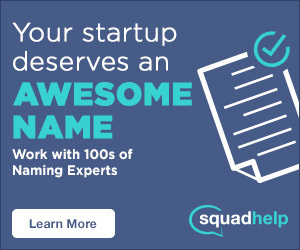 There are many, and you should consider transliterating your brand name. Transliteration is changing text from one script or writing system to another, changing only the source letters or characters into corresponding letters of the target language. For example, the Japanese writing system, called kanji, is a syllabary, where each character represents a single syllable. The Japanese kanji for “Japan” is 日本. The transliteration of those two characters into the English writing system gives you Nihon (or sometimes Nippon). Another example comes from Hebrew: the word שלום is transliterated into English as shalom. But the translation of the Hebrew word שלום in English is peace. And also harmony, wholeness, completeness, prosperity, welfare and tranquility, depending on context. Translation attempts to duplicate the meaning of a word in one language with a word in a different language – but languages being messy, and humans being complicated, no translation is ever 100% accurate. This is why the title of Proust’s master work, “À la recherche du temps perdu”, is translated both as “Remembrance of Things Past” as well as “In Search of Lost Time”. Which is correct? If they are both correct, which is closer to Proust’s intention? As is often observed, translation is more art than science. 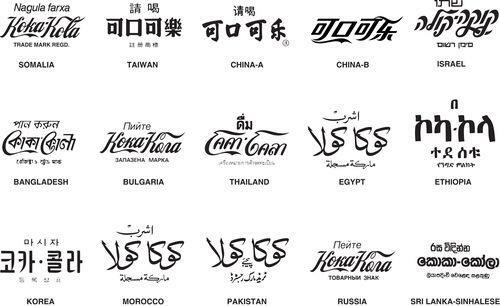 Most brands are not translated into other languages. Of course, translating copy, websites, manuals, etc. (called localization) is recommended in order to better serve customers. Take a look at the Cisco Japan website: everything is in Japanese except the brand names Cisco, Webex, and Meraki. Translating a brand name would defeat the purpose of building equity in that brand name! The name would be different from country to country, the logo would likely be different, and a company would have to double (or triple) their marketing spend to support different names. In the Korean writing system (hangul, which is a syllabary system like Japanese), the name is transliterated as 코카콜라, phonetically kokakolla. In Egypt, Morocco, and Pakistan, all of which use the Arabic script, the name is كوكا كولا, which is pronounced kuka kula. In each case, the transliteration provides a name that sounds as close to the original as possible. But it’s not always that easy, and the most obvious case is in China. While there are many varieties of spoken Chinese (Mandarin and Cantonese having the largest populations of speakers), all written Chinese uses Chinese characters, which are logosyllabic; that is, a character generally represents one syllable of spoken Chinese, as well as representing an object or concept. Being literate in Chinese requires the memorization of thousands of characters. Since Chinese characters can represent both syllabic sounds and abstract concepts, transliteration becomes exponentially difficult. It’s not simply a matter of finding the characters that correspond to the sounds – the meaning of the characters has to be right, too. As you can imagine, coming up with that transliteration in 1928 was time-consuming and required an expert hand. That hasn’t changed. If you need your name transliterated into Chinese, don’t try this at home – find someone who does it for a living. In the end, your new brand name will likely be just fine with a quick linguistic check in the targeted languages. Translation should be saved for copy and manuals. But if Asia or the Middle East are important geographies, it’s worth the money to get a professional transliteration. That will ensure your brand name speaks clearly, no matter what the language.